'Shapes' Post Mounted School Signs. Designed to enhance your school, to last and to be safe for years to come. 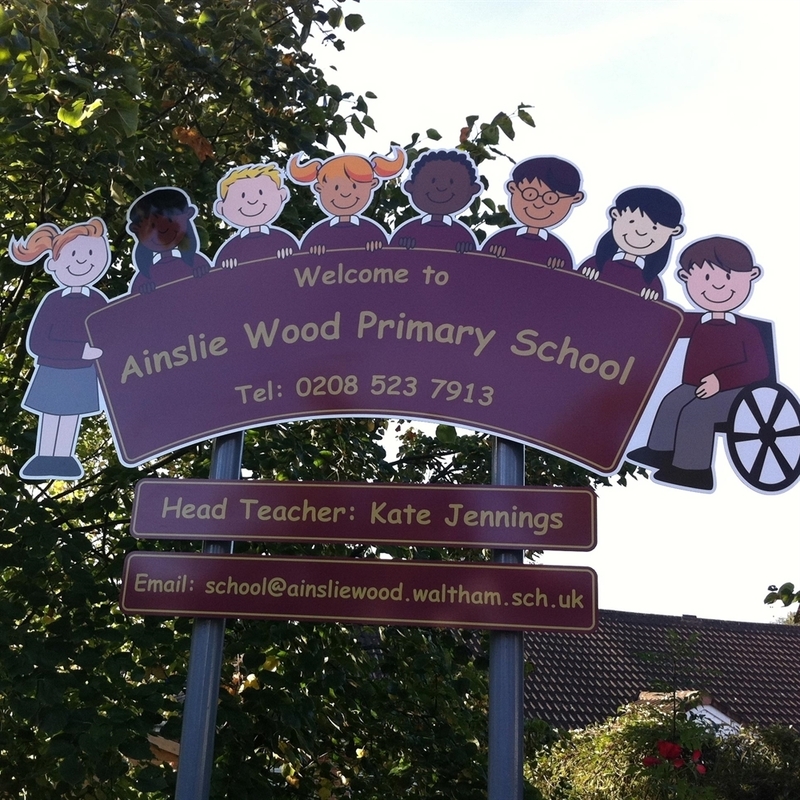 Manufactured from 3mm solid or composite aluminium. Offered in a broad range of styles and colours. Supplied in your school colours to match and promote your image. Complete with 10mm or 25mm radius corners for safety. Available with our anti-vandal film as an option to help protect your signs. 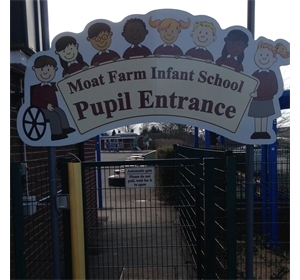 'Shapes' were introduced by Elementary Signs some years ago as a safe and practical way to enhance school play areas and entrance ways. 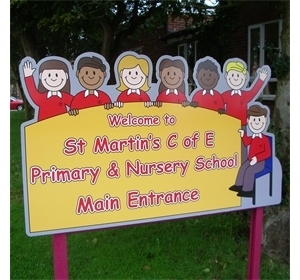 The 'Shapes' Range feature signs are an exciting new way to enhance and brighten your school. 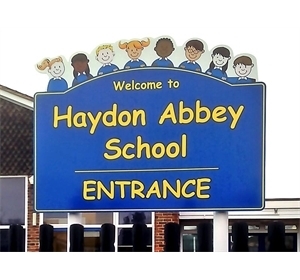 Feature Shaped Signs are made from 3mm solid aluminium or aluminium composite with a colourful graphic of children or children supporting or surrounding the school sign or banner. Shaped Signs are available as Wall, Fence, Railings or Post Mounted and are supplied with a matching fixing kit and/or extruded aluminium posts and fittings. 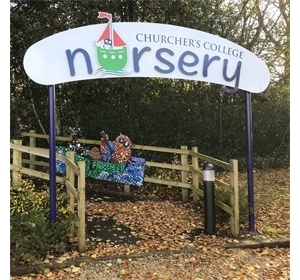 These signs are produced in a wide range of colours and sizes, they can be used as Entrance Signs, Welcome Signs, as Archway Signs over a footpath or walkway or even as individual images of children holding a sign at almost any location.